I recently posted about virtual publicity tours, and how authors can use various online promotional strategies to promote a new book. But virtual publicity tours are for more than authors - freelance writers (as well as anyone with something to promote) can also make use of them. Focusing on virtual blog tours specifically, it's really nothing more than basic blogger relations. The key in managing a successful virtual blog tour is knowing what blogs your target audience frequent, and building a relationship with those bloggers. If you're completely unknown to the blogger, you might want to reach out before pitching a guest post idea (especially if that blogger doesn't directly solicit them on their blog). That may mean leaving comments on that blog that add value, to directly emailing the blogger to introduce yourself. Why Run a Virtual Publicity Tour / Virtual Blog Tour? The reasons for running a virtual blog tour in book promotion are obvious - exposure and sales. Exposure is just as important for freelance writers, and it's something a lot of writers neglect (myself included sometimes, which is particularly shameful given my PR background). What a virtual blog tour can do is give you greater visibility with core audiences - either your potential clients or other writers (who can give you work referrals as a result of networking). As I laid out in my book marketing post on the subject, there are actually several kinds of virtual blog tours. 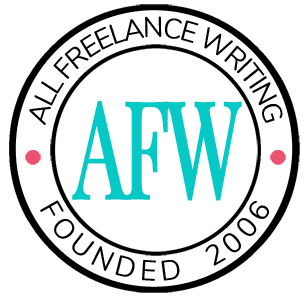 In the case of being a freelance writer, your best option will probably be offering guest posts. (You don't have book excerpts like an author on a book promotion tour does, and pitching yourself as a potential interviewee can be extremely tacky if not done delicately). The first thing you should do is identify the type of audience you want to build exposure with (other writers and potential clients were the examples I gave previously - depending on your specialization, maybe there's someone else worth targeting). Next familiarize yourself with the blogs you want to submit guest posts to - even if you're already a regular reader. Take note of what they cover extensively, the blogger's general tone and style, and the type of readers that interact on the blog through commenting or other means. Create a list of at least 2 or 3 blog post options that might appeal to the bloggers you want to submit guest posts to. Pitch the ideas to the blogger, letting them know why you think the ideas would be a good choice for their blog and their readers - essentially tell them what you can offer. Let them choose or suggest a topic if they prefer, and try to come to some kind of agreement (don't leave it as "sure, you can submit a guest post" with no real guidelines - you don't want to write a bunch of posts and have bloggers rejecting them because you didn't confirm things ahead of time). If you want to do this in real "tour" fashion, try to reserve specific guest post dates throughout the course of a week or a month. The benefit of going this route is that your name may be put in front of your target audience over and over again (people in certain networks tend to frequent the same blogs). The trick is to combine quality posts that readers will appreciate with having your name in front of your audience repeatedly over a set period of time. And of course, include a link back to your site below your post with your by-line, so readers can learn more about you, your services, or your own blog. Think of virtual blog tours as a somewhat more sophisticated, better thought-out form of article marketing. Jennifer, Thanks for the excellent, well-written advice! Two other places to add to your virtual publicity tour are Internet radio shows and online chat rooms that welcome guests. Pitch both places the same as you would a blog by letting them know what topics you could discuss and answers questions about. What a terrific idea! Not that I would expect anything less than excellent suggestions from you, Jen. I just referred a would-be freelance writer here and to your posts at DP because I have learned so much already from you. Thanks for a wonderful and useful post as usual.